3" ID standard. Can be bored to custom sizes at an additional cost ($40 per C). 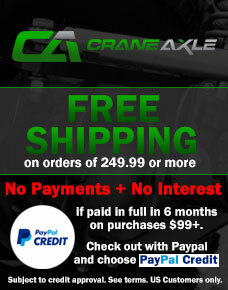 Crane Axle's Dana 60 Inner C is a heavy duty replacement for bent/broken stock inner c or a new axle build. Crane's Inner C's are built out of 8620 Chromoly steel for ultimate strength and light weight right here in the U.S.A.
Crane's Inner C's can be combined with our Interlocking Outer Knuckle Kits for ultimate strength and reliability. The inner c's can be mig or tig welded to your housing or axle tube. Crane's Inner C can be run with stock outer knuckles or other aftermarket outer knuckles. 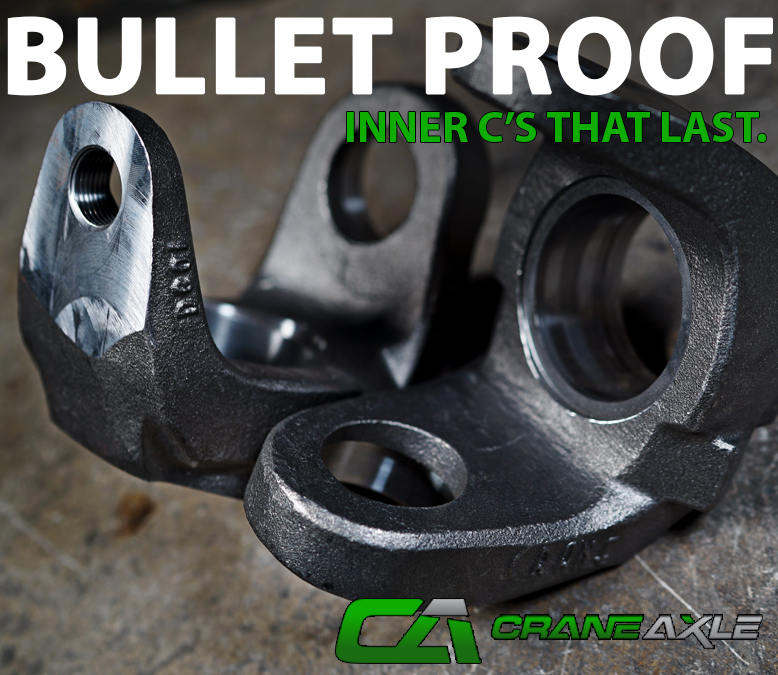 Crane Dana 60 Inner C's can be bored to custom sizes at an additional cost. They are 3" I.D. standard. Sold Individually. (2) Pieces are needed for a complete axle build.